Наличие: – Есть в наличии. Отправка к Вам в тот же день, если оплата заказа сделана до 14-00 Московского времени. Водило Cessna Deluxe. Идеальное сочетание прочности, долговечности и удобства. "Вилка" на пружине позволяет использовать водило одной рукой и не пачкать колени при соединении с носовой стойкой. Идеально подходит для самолетов Cessna, включая Cessna RG (в том числе 210-й серии). I found this towbar to be lightweight and rather weak. If light is what you want, then this may be fine. I would have preferred something a bit more substantial. I am a CFI and I own three single engine Cessnas. I have been using these tow bars for more than 30 years. They are very sturdy and well built. They conveniently collaspe for easy storage. They are designed so that you can spread the two arms with one hand and easily attach it to the nose gear. 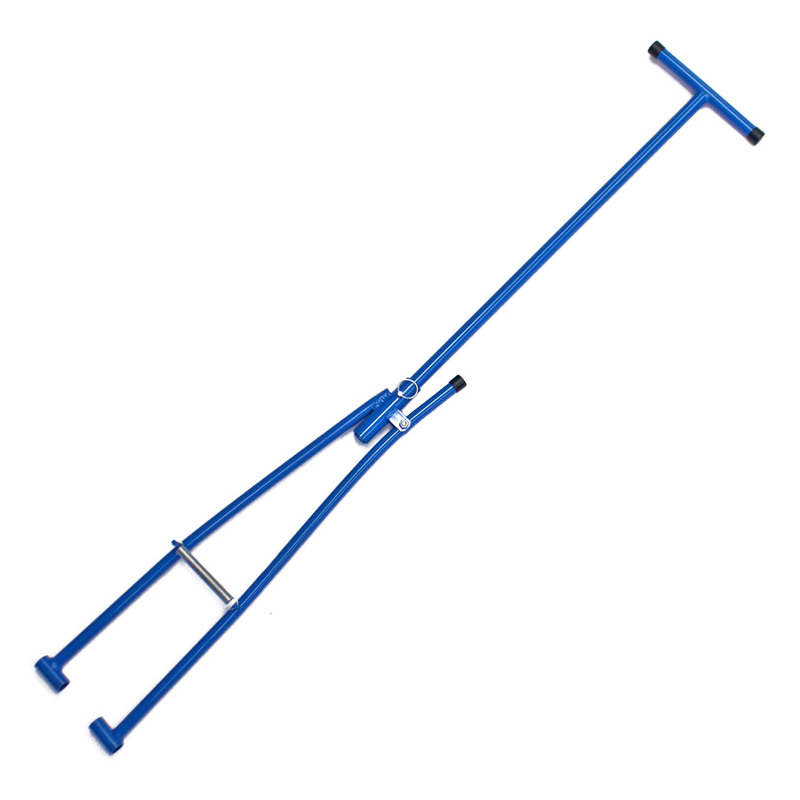 Has a great grip, easy to attach and detach, the right length for pulling and pushing. Clamping handle works well with the right amount of spring tension. The only product suggestion would be a second bar lock pin hole so you could slide the handle in without pulling it completely out and rotating the handle into store it in the stowing position. This is my hand towbar of choice. 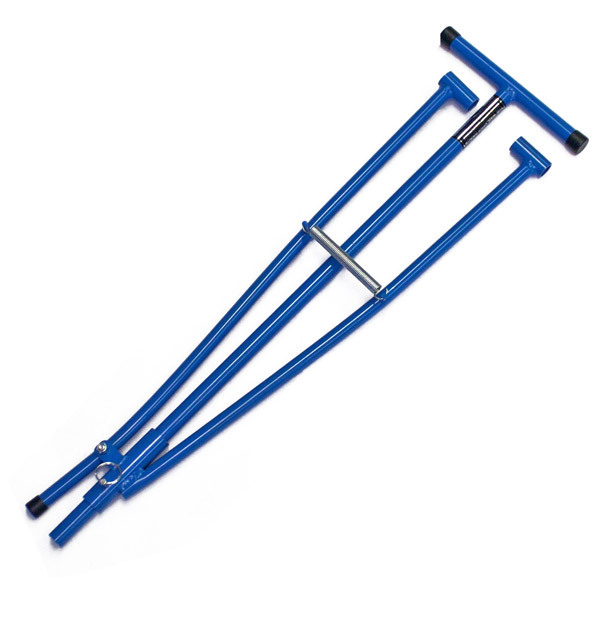 The collapsible design makes it easy to stow but allows for a long enough handle to make it very comfortable to use. Despite one of the other reviews, I find it to be much more sturdy than some of the other towbars Ive tried. As another reviewer mentioned, it would be better if the handle were stored in the other direction so my husband drilled a second hole in the vertical section of the T bar. Now I never have to pull the two sections completely apart. To store after using, I just pull the pin, allow the handle section to slide down into the spring section, and repin. I have a Savannah. Nosewheel with 5/8 axles which are elongated 3/4This fits perfectly.Nice finish too. Purchased for a Cessna 182 and pushes/pulls great! (with proper tire inflation) A quick release detent pin allows the bar to be stowed nicely. Asked if it fit a Cessna P210 and response was yes, it should... -- it does not fit a P210. Towbar is made to go OVER axle bolts that protrude about an inch P210 has hollow axles for a pin-type like a piper arrow has. Correcting last review I wrote above. The tow bar DOES work on my P210. I was an idiot and did not try attacking it to the nose wheel axle - only to the 5/8 bolts above. Works fine - tube ends fit right into the axle holes. Apologies to anyone who read this and got bad info. Iâve been looking for months for a longer tow bar for my 98 Cessna 182. Prices have ranged from $50 to $500 so I was concerned about this. It is perfect. Fits great and allows me to stand while pulling and putting my airplane in the hangar. Exactly what I wanted and at a great price. Arrived and the plastic was already cracked and broken. Otherwise plenty strong enough for a 205. Fits the Bearhawk tailwheel like it was made for it. Ill drill a second hole in the handle so I can collapse the handle instead of taking it out and turning it around . Perfect. I really got tired of bending my old one every time to hook it up. I drilled a hole up near the handle so I could just pull the pin and slide the pull handle in and replace it instead of taking it out and turning it around. Suggest the manufacturer do that when it is made. Exactly what I needed. Lightweight - as it should be and strong enough for a redneck to push a Centurion by his old, fat self. Nothing fancy, but just what works. Should have got a tow bar a long time ago. I bought this to use on my RV-6 tail wheel. I had to shorten the spring by about 3/8 to hold but it works great. I knocked off a star because the fit between the two tubes is looser than I like and it should have holes so the handle can just slide down rather than remove and reverse. Otherwise its half the price of the Bogart and does the same job. Great product that shipped really fast! Would definitely recommend! easy to use and stays on when turning. Excellent tool for my Skylane . Spring tensioner works as it should. Happy with it. Will the cessna tow bar work on a cessna 206? Is it universal? Ответ:This is not a universal part. It will work depending on where on the aircraft it connects. This towbar connects to 5/8" lugs on the aircraft. So the customer will need to know where it will connect to the aircraft and if it has 5/8" lugs on the nose gear. How narrow will the two lugs will come together? Ответ:Per the supplier: They will come as close as 2-7/8" apart. Where is this Deluxe Cessna Towbar manufactured? Ответ:These towbars are made in the USA. Ответ:The max width between the lug receivers is approximately 8-1/2". Will this Deluxe Cessna towbar work for a Cessna 172? Ответ:Yes, these towbars will work great for a Cessna 172. Will this Deluxe Cessna Towbar fit a 1979 Cessna P210? Ответ:This should fit the 210 provided he has 5/8 lugs on the nose gear strut. Will this Deluxe Cessna Towbar fit a Cessna 150? Ответ:This will fit the Cessna 150 if he uses a 5/8 lug on the nose gear strut. Is this Cessna Deluxe towbar made out of steel or aluminium? Will this Deluxe Cessna Towbar work on a 1975 Cessna 310R? Ответ:As long as the 310 has 5/8" lugs it will work.